Yes, I have news! We are moving. We've been looking for a house since January and we finally found one. It's taken quite a while to get sorted but we are finally moving the first weekend in July. I thought I'd share some photos of our new house with you. We haven't taken over yet so I'm not able to take any photos for myself. 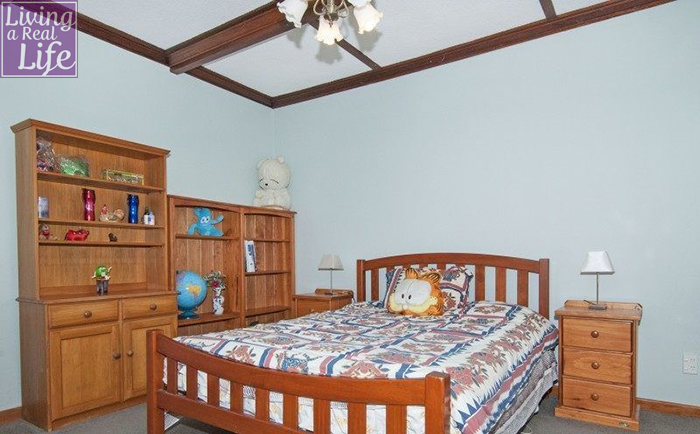 These photos are from the listing. It a four bedroom house with a "Jenna House" (sleep out). 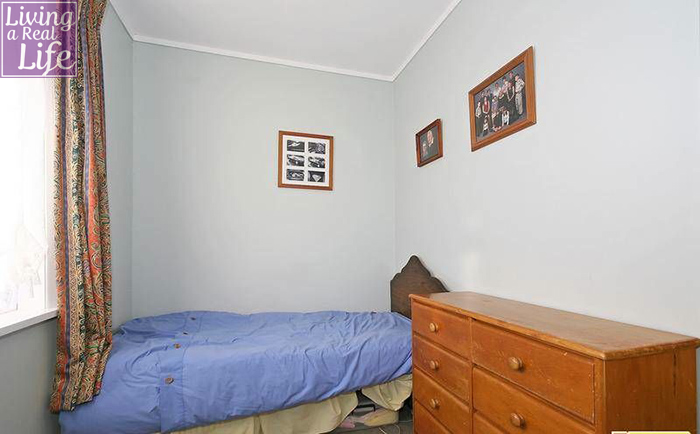 There are many reasons we chose this house - it's in the right place, it's on the flat (a huge draw card after living in the hills of Wellington for so long), it has three huge bedrooms (and a small one to be used as an office), it's single storey and it has a sleep out with it's own bathroom. There are also some drawbacks to this house - the biggest one is that it has a tiny kitchen. I didn't think I could get a tinier kitchen than the one we have now but I managed to find one! Love this front entrance. A lovely sunny place to sit and have a morning coffee - or herbal tea in my case. Tiny kitchen - that's all the bench space I have! Tiny kitchen from the other view. Great advantage though - it has two pantries! Lounge looking out at the sleep out. Lounge looking at the dining area and kitchen. Jesse's bedroom. 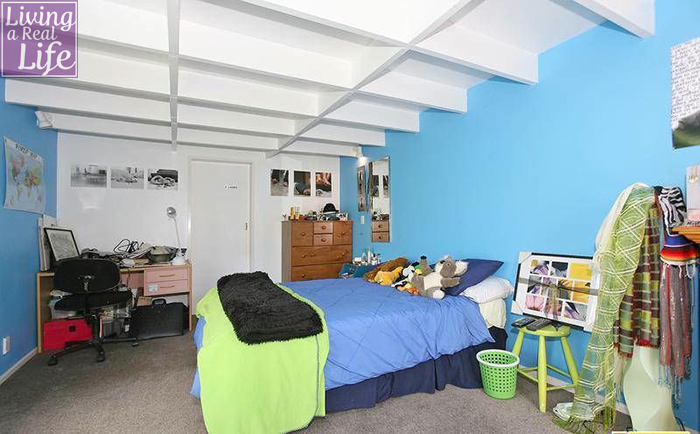 It's a a big room which is nice and bright but it doesn't have a built in wardrobe. Jesse's bedroom from the other view. Spare / sewing room. Yes, it's really that colour! Unfortunately, we are losing our extra living area so we will be downsizing a bit. We think that the advantages hugely outweigh that. Can't wait to move and get started decorating! I will post new photos of the house once we've got all our stuff moved in.